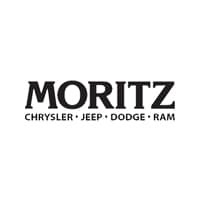 At Moritz Chrysler Dodge Jeep RAM, we pride ourselves on carrying a large inventory of new 2018 and 2019 vehicles – but that’s just the start! We also have a large inventory of used and certified pre-owned vehicles of all makes and models, ready to test drive. Our used vehicle inventory is constantly updating, so be sure to check back often if you don’t see the exact model you’re looking for today. You can also contact our staff and we’ll help you find the perfect vehicle for your budget & lifestyle needs.